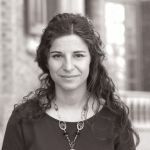 Valeria Bello is a Political Sociologist who has taught and published in the fields of Sociology, International Relations and Political Science. Her main research interests concern the role of both identity and non-state actors in the area of migration and interethnic relations, as well as in the area of international and human security. She is the author of the book “International Migration and International Security. Why Prejudice is a Global Security Threat” (Routledge, 2017). Bello, Valeria (2012) “International Nongovernmental Organizations.” In Oxford Bibliographies Online: International Relations. Ed. Cathal Nolan. New York: Oxford University Press. Bello, Valeria, International Migration and International Security: Why Prejudice is a Global Security Threat (London and New York: Routledge, 2017). Armstrong, David, Valeria Bello, Julie Gilson, and Debora Spini (eds) (2011) Civil Society and International Governance: The Role of Non-State Actors in in the EU, Asia, Africa and Middle East, Routledge GARNET Series, Taylor & Francis Group, London/NY. Bello, Valeria – B. Gebrewold (eds) (2010), A Global Security Triangle: European, African and Asian interaction, Routledge GARNET Series, Taylor & Francis Group, London/NY. Bello, Valeria, “Migraciones, Seguridad Nacional y Seguridad Humana: Un nuevo modelo migratorio para combatir el prejuicio como reto a la seguridad global” in Las migraciones internacionales, percepción, y realidad. Un análisis desde la perspectiva de la seguridad, ed. Ministerio de Defensa, Reino de España and Escuela Superior de las Fuerzas Armadas ( Madrid: Ministerio de Defensa – Reino de España,2017), 157-190. Bello, Valeria, “On the Border: Framing Migration Interconnectivity between States and Societies as Diaspora or Transnationalism? A Response Formulated through Interdisciplinary Lenses” in Migration Across Boundaries : Linking Research to Practice and Experience, ed. Bloom, Tendayi ( London: Ashgate,2015), 11-28. Bello, Valeria (2011) “Collective and Social Identity: a Theoretical Analysis of the Role of Civil Society in the Construction of Supra-National Societies.” In D. Armstrong, V. Bello, J. Gilson, and D. Spini (eds) Civil Society and International Governance: The Role of Non-State Actors in the EU, Asia, Africa and Middle East, Routledge GARNET Series, Taylor & Francis Group, London/NY. Bello, Valeria – B. Gebrewold (2010) “Introduction. Global Actors competing or co-operating?” In V. Bello – B. Gebrewold (eds), A Global Security Triangle: European, African and Asian interaction, Routledge GARNET Series, Taylor & Francis Group, London/NY. Bello, Valeria (2010) “The EU’s international identity considered from outside: European, African and Asian interaction.” In Bello V.– Gebrewold B. (eds), A Global Security Triangle: European, African and Asian interaction, Routledge GARNET Series, Taylor & Francis Group, London/NY. Bello, Valeria – B. Gebrewold (2010) “Conclusion: from a global security triangle to a normative international society?” In V. Bello – B. Gebrewold (eds), A Global Security Triangle: European African and Asian interaction, (2010) Routledge GARNET Series, Taylor & Francis Group, London/NY. Bello, Valeria – C. Bee (2009), “A European model of public sphere: towards a networked governance model.” In J. Harrison & B. Wessels (eds) Mediating Europe: New media, Mass Communications and the European public sphere, Berghahn Books, Oxford. Bello, Valeria (2018). The Role of NGOs and Civil Society to Support Migrants as Actors of Sustainable Development. United Nations University Institute on Globalization, Culture and Mobility. Bello, Valeria (2017). Europe and the Mediterranean Crises: Trapped Between Prejudice and Solidarity. United Nations University Institute on Globalization, Culture and Mobility. Corendea, Cosmin, Bello, Valeria and Bryar, Timothy (2015). Pacific research project: Promoting human security and minimizing conflict associated with forced migration in the Pacific region. Pacific Islands Forum Secretariat, UNU-GCM, UNU-EHS. Bello, Valeria (2015). The Experience of Muslim Immigrant Women in Spain: Between Socio-cultural Change, Discrimination and Civil Society Participation. Female Agency, Mobility and Sociocultural Change (Policy Report Series 3). UNU-GCM. Corendea, Cosmin, Bello, Valeria and Bryar, Timothy (2015). Promoting human security and minimizing conflict associated with forced migration in the Pacific region. Pacific Policy Brief. Pacific Islands Forum Secretariat, UNU-GCM, UNU-EHS. Bello, Valeria (2014). Transnationalism and New Media: Transcontinental Migrants and Interconnectivity of Cultures. Statelessness and Transcontinental Migration (Policy Reports Series 02). UNU-GCM. Bello, Valeria (2013). Is the discussion of 'Statelessness' in the UN Security Council a question of human security or international security?. Statelessness and Transcontinental Migration (Policy Reports Series 02). UNU-GCM. Bello, Valeria (2013). Intercultural Dialogue or Intercultural Soliloquies?. Migration, Media and Intercultural Dialogue (Policy Reports Series 01). UNU-GCM. Bello, Valeria (2013). Attitudes towards immigrants in European Societies. A comparison between the Perceived Group Threats Theory and the Intercultural Values Theory through a multi-level analysis. Migration, Media and Intercultural Dialogue (Policy Reports Series 01). UNU-GCM. Bello, Valeria (2013). Intercultural Dialogue” as it developed in the Security Council of the United Nations (2000-2012). Migration, Media and Intercultural Dialogue (Policy Reports Series 01). UNU-GCM. Bello, Valeria (2013). Intercultural Studies, Interculturalism and the practice of “Intercultural Dialogue”. Migration, Media and Intercultural Dialogue (Policy Reports Series 01). UNU-GCM.